Scientific work at several universities like Innsbruck (Austria), Boulder (USA), Southampton (UK), Paris (France), Greifswald (Germany), Trento (Italy) led to the development of instruments to simulate reactions of atoms and molecules in space (interstellar clouds). These research works were the prerequisites for the Ion-Molecule Reaktion Mass Spectrometry (IMR-MS) which is the core technology used for most of the V&F Analyzers. Today IMR is one of the most sensitive techniques to detect impurities in gases. V&F has been founded by Johannes Villinger (the "V") and Werner Federer (the "F"). 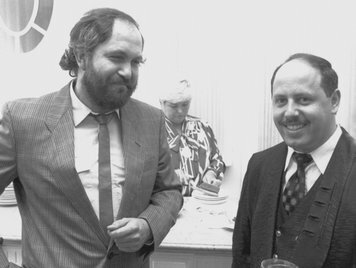 Both are physicists from their background and V&F started as a spin-off from the University of Innsbruck. 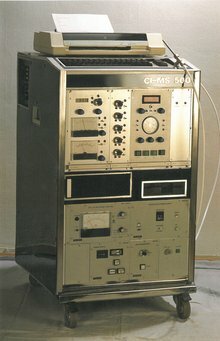 The first analyzer developed by V&F was the CI-MS 500 model. 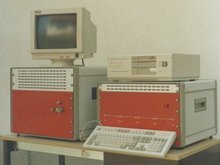 This analyzer was introduced in 1986 and this was the beginning of serial production of mass spectrometers at V&F. The company moved from Arzl to Absam, V&F got the award for start-up entrepreneurs and the new analyzer SIMS 500 controlled by SCP (a DOS programm) was introduced. 1988 was also the start of the development of automotive applications in collaboration with BMW in Munich (Germany). The first resale agreement for V&F Analyzers was signed with PMS AB, a swedish company active in the field of analytical instruments. V&F got the Plansee award for developments in industrial and environmental fields. 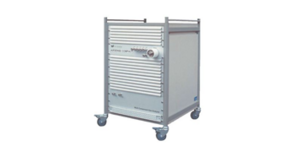 The analyzer model CI-MS 1000 was released to the market. IMR became the standard technology for engine and catalyst measurement. In the european and north american automobile industry V&F Analyzers were present in their R&D facilities. V&F announced that V&F Analyzers have been selected as a world wide provider for refillable PET bottle inspection devices (RefPET-Sniffer) for The Coca Cola Company. V&F moved to the actual registered business address and started the OEM bulk production of CANIS analyzers (refillable PET sniffers) for Soudronic, a former partner of V&F. The start of the european project EUREKA led to a new instrument design. The first V&F analyzer under the Airsense label, called Airsense 500, was introduced. Development of the first HSense prototype. V&F has signed a resale agreement with MS4 in Germany and founded a subsidiary in Canada called V&F Gas Analysis Systems. V&F takes over the complete IMR-MS business and the related patents from Atomika Instruments GmbH in Germany. The HSense analyzer was introduced to the industry in order to fulfill the demand of a highly dynamic H2 and He analytical instrument. Based on the Electron Impact Ionization and using a magnetic sector field as a mass filter, the HSense mass spectrometer is optimized to measure H2 and He fast and reliable. DHS a Swiss company that offers analytical instruments joined the V&F resale partners team. DHS represents V&F in Switzerland. V&F developed and introduced the brand new Airsense 2000 model. Introduction of the CO2Sense - the first Ion-Molecule Reaction Mass Spectrometer (IMR-MS) specially designed for the CO2 quality control. With only one single measurement system, various applications such as truck filling stations, online process control or certification of single bottles and storages tanks can be monitored either continuously or on demand. Minimizing any health risk caused by unknown contaminations or impurities of the product, food- and beverage industry take their responsibility of quality control of all incoming components into their production process. V&F Instruments a V&F subsidiary was founded in the USA. 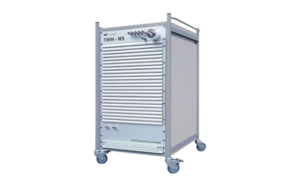 Introduction of the Twin MS (now called TwinSense) the first dual Ion-Molecule Reaction mass spectrometer in one single housing. The TwinSense dual mass spectrometer features a unique combination which has been specifically developed in order to measure pre- and post catalyst fast and simultaneously. Consequential developments within the range of analytical equipment offer room for improvements within processes and/or catalytic reactions which then lead towards state of the art engines and lowest possible emissions. V&F medical development - a subsidiary of V&F - was founded to develop the business field of medical applications. The demand for a new technology for fuel cell development led to the introduction of the AirsenseCompact (now called CombiSense). The first combination of an Ion-Molecule Reaction & Electron Impact - Mass Spectrometer in one single housing. V&F extened their sales activities and started to enter the Asian market. V&F signed a resale agreement with D2T Korea Co. Ltd. in Korea. V&F redesigned the complete electronics and reprogrammed the control software using the Microsoft DotNet Framework. This led to the introduction of the brand new series of V&F instruments under the ".net"-label - beginning with the Airsense.net. V&F released the TobaccoSense analyzer and developed an application for tobacco smoke and flavour analysis. 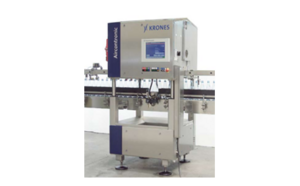 V&F has signed an OEM contract to produce PETSense for Krones AG in Germany. 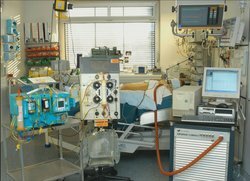 V&F medical development tested successfully a medical application for perioperative breath analysis using an AirsenseCompact (now CombiSense) analyzer. 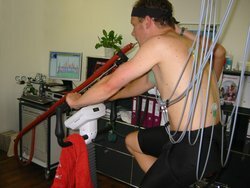 V&F medical development tested successfully a medical application for breath analysis during endurance sports unsing an AirsenseCompact (now CombiSense) analyzer. 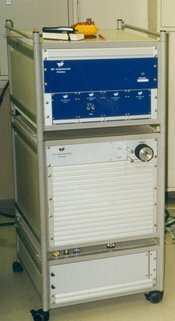 V&F introduced the Q7000 (now called EISense), a low cost electron impact mass spectrometer (EI-MS) for trace gas and process analysis. The EISense offers an extremely selective and rapid analysis for a multitude of process - gas components and doesn’t ask for much maintenance at the same time. V&F signs a resale agreement with Atlas Technology in Taiwan. Resale agreement with our new partner - Shinhan technologies - in Korea established. New resale partner in the United Kingdom and Ireland: Oxford Medical Diagnostics (OMD). OEM Technologies is our new resale partner for V&F products in India. and Spain: TCA Técnicas de Control y Análisis, S.A.
New resale partner for Malaysia ans Singapore: Orbiting Scientific & Technology Sdn Bhd. Introduction of the redeveloped CombiSense model 2013. Introduction of the V&F analyzer MotoSense and LubeSense. Introduction of the CO2 Quality Analysis System - a complete turnkey solution for the CO2 production process. Allows to analyse the final CO2 product gas and the raw- and process gas. Introduction of the LubeSampler and the FuelSense for online oil dilution measurements.